Price is cheap and easy to use Performance is enough If thick coating is used at one time, it may be necessary to take time to apply multiple coats because there is a time when the thinner portion penetrates the tape and the coated surface is broken. This review is about item#7399226. This review is about item#7399253. This review is about item#7399244. This review is about item#34898157. Use for signboard production etc. 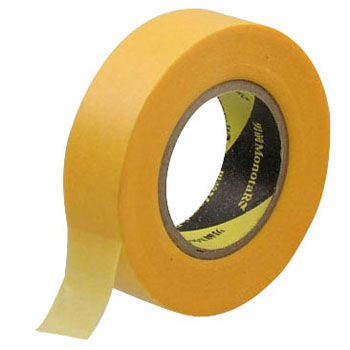 It's handy because it does not replace 3M's masking tape for price reasons. I think it's good. It can be used normally. It is unknown whether there is a glue residue. This review is about item#7399262. Good adhesion, easy peeling Because there is no effect on the work Easy to use. . This review is about item#34898141. This review is about item#7399235. Depending on the application, because the size is complete, I would like to purchase again. I had purchased it at a mass merchandiser in town. The price is also cheap, saving the trouble of going to buy is greatly saved. It is outstanding user-friendliness as good as the product sold to a famous home center, and it is very excellent in COSPA. The price is also cheap and satisfactory. I would like to ask you again next time. Although it is a good product, when cutting a tape, it is often to tear diagonally. We are using it at corking work in the company. Although it is used for masking at the time of coating, there is no problem. Because it is a yellow tape, it looks good and looks like 3 M made it feels good. Although there is no complaints in terms of function in normal use, if there is a black variation in color, the application which can be used for photography and design work also expands, I would like you to consider. Compared to other companies' products, it is not inferior to cheap and has a good sense of use. Mainly used for painting. It is rich in size and handy.